Empty Corners? Our Favorite Small Apartment Ideas for Styling Those Neglected Nooks! Empty, awkward corners, every house has them. 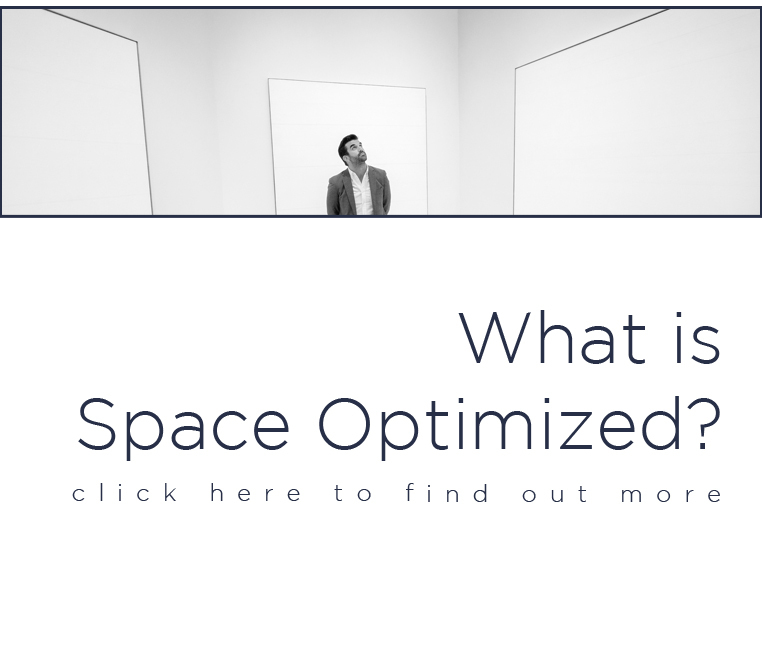 It can be a struggle to incorporate odd corners into the whole design but if you are dealing with limited floor space, it is one challenge you need to overcome. Imagine all that wasted space! 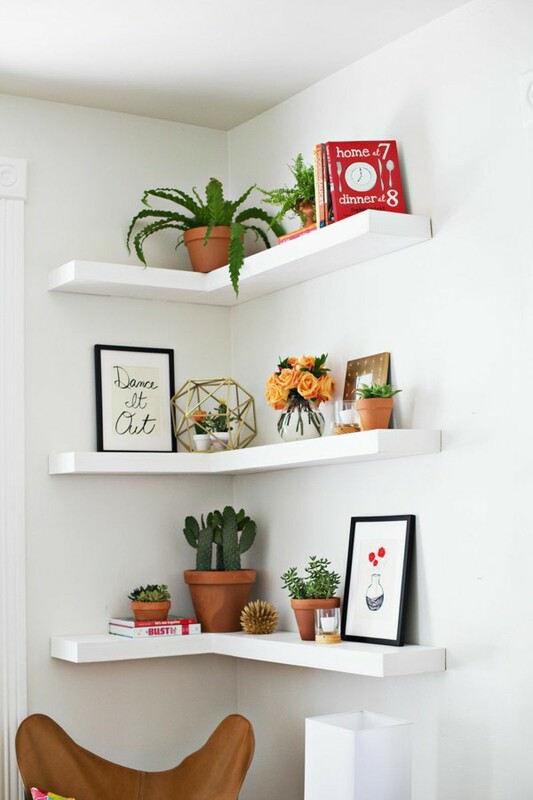 I’m quite fond of floating shelves for their practicality and the clean, sleek lines. Make any empty corner work harder by installing several shelves. Installing floating shelves will require some tools but the process itself is surprisingly easy and straightforward. It’s the kind of project that only takes a few hours to complete. Once you’re done installing the shelves, display your book collection and throw in several artworks or cool decors to beautify the once-empty corner. If the neglected nook is set near the windows, try this idea: transform the space into a cafe corner! You can either set a petite round table or a bar table near the window, add a chair or two and you’ve got a cafe corner with a nice view. This is a terrific styling idea if you love staying in and people watch. 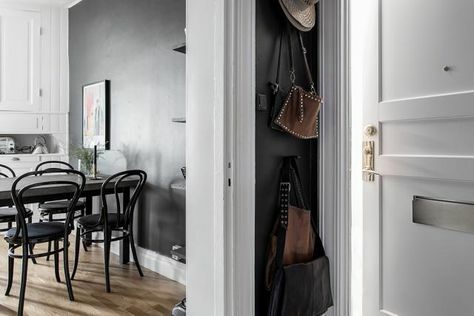 This is one of my favorite small apartment ideas, turning odd corners into extra storage space! 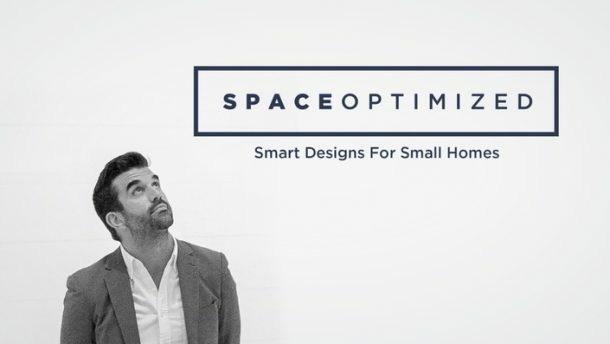 If you live in a home with limited square footage, I’m sure you can relate! Make empty corners work harder by installing cabinets, organizers, or even a corner table to turn a once-neglected nook into a flexible storage space. Use the extra storage to display your collection or organize the room. If the children’s bedroom does not have space to spare for a play area, transform the naked nook nearest to it into an activity corner. This way, the corner becomes an extended part of the children’s bedroom! You can use the room to set up a decorative teepee, an art corner, or a lounging area for the kids. One of my favorite small apartment ideas when it comes to dressing awkward corners is to install hooks and compact organizers. 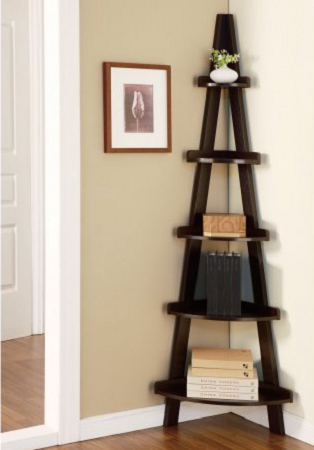 This goes especially in a narrow entryway with limited storage space. Maximize the empty corner near the door by building a modest mudroom. Install decorative hooks, hang a small organizer for small items and finish up with a petite shoe organizer. You can set up a play area for your furry friends by decorating the empty corner with a cat condo or a dog bed. Add your pets’ favorite toys, and set their food/water bowls to turn the empty corner into a play area for your pets! 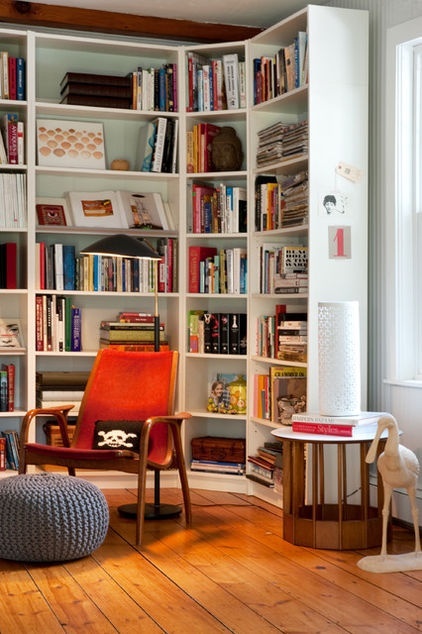 Another tip to make empty spaces work harder involves setting a corner bookcase on the spot you would like to beautify. This is a great idea if you love collecting books and/or you’ve always wanted a reading nook! You can mix your display up to turn a once-neglected corner into a functional space for reading. Finish up by setting a couch, a decorative ottoman, + a side table and your reading nook is complete. That empty corner in the living room is the perfect place to set up the TV stand because it gives guests a better view of the TV. Complete your entertainment hub by adding a gaming console or a sound system to elevate the living area and make good use of that empty corner! 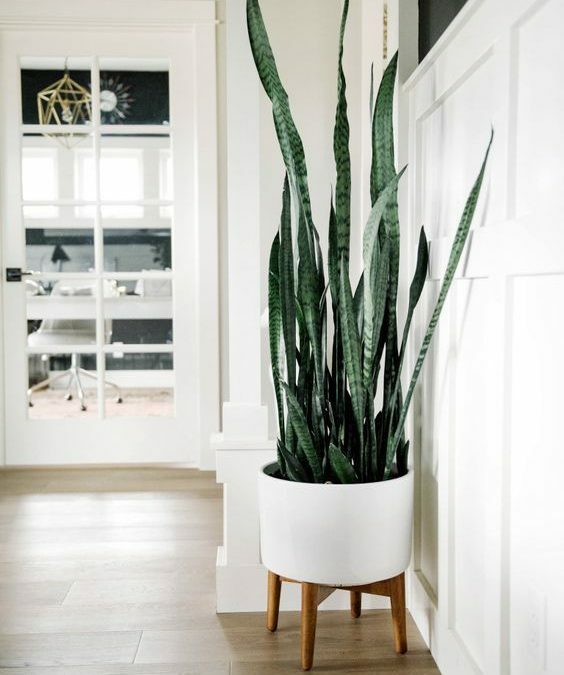 Adding a dose of greenery in an empty corner is the chicest way to incorporate texture, color, and character to your living space. 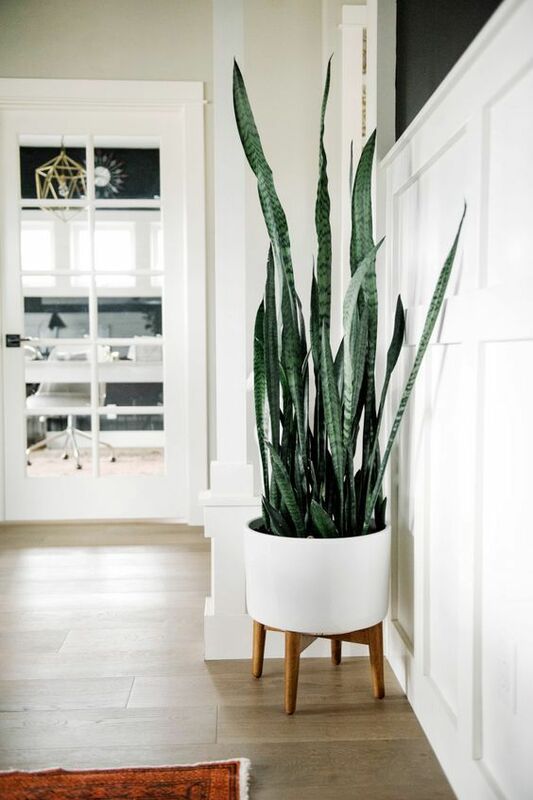 A large, statement plant makes any empty corner look especially stylish more so when paired with an equally eye-catching planter. This is a great idea if you’re not planning on adding corner shelves or embellishing the empty corner with dramatic decors. Yes, you can build an additional workspace in an empty corner, there’s nothing to it! Start by installing a wall-mount table or adding a corner desk on the empty corner. Set up your computer/laptop, add your essential office supplies and finish up with a comfy office chair.